Paint fixes everything. Seriously. I really believe that you can paint almost anything and it will make it better! Assuming you do a proper job. 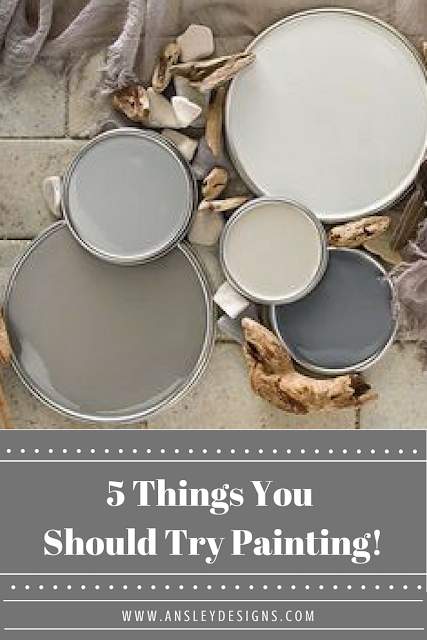 So, here's a round up of things you might not think to paint, but TOTALLY SHOULD! I painted the hardware on my doors in my old home. It held up pretty well! I used kilz primer and just a silver metallic spray paint. I don't remember the brand. The trick to make this easier is have some styrofoam to stand the screws and doorknobs up in so you can get all around the sides! Here's a great tutorial to make that paint job last! *This post contains affiliate links! If you shop through my link I receive a small commission, and it doesn't cost you any extra! I appreciate it, and it really helps me to continue running this blog! 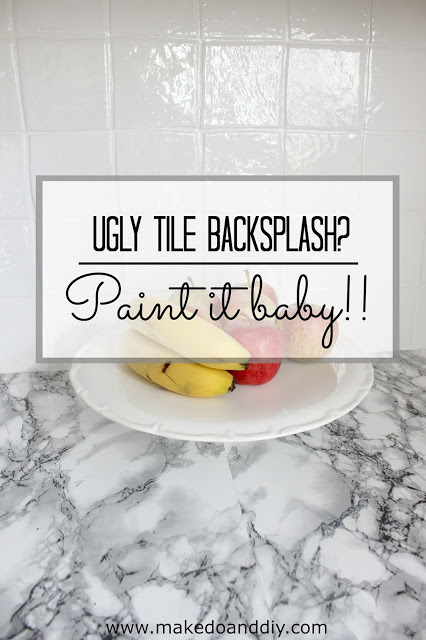 I painted tile before it was cool! Probably ten years ago! This was before my official blogging and designing days; so, I don't have any pictures. It was kitchen tile that was all over the bottom half of the walls. Kind of like wainscoting, but tile... I honestly just used a paint and primer in one and it worked out surprisingly well! However, I'd recommend a really good bonding primer followed by a high quality paint. I'd even go so far as to suggest roughing it up with a sander some first if you have really glossy tile. 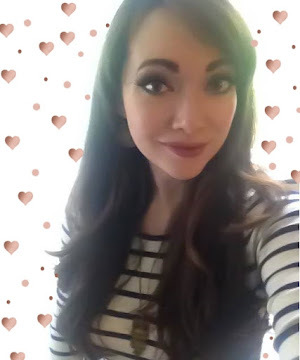 This blogger went the simple route. Primer and oil based paint. It looks amazing! Or they make specialty tile paint . It's almost like reglazing it. I hear it smells to high heaven (like use a respirator! ), but that it gives it the same glossy sheen as if you'd retiled! 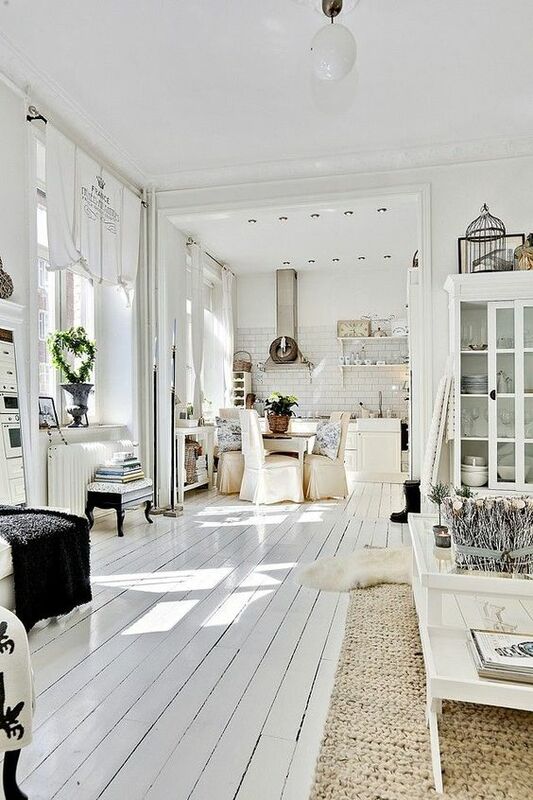 I'd also like to paint the countertops in my rental white! Why white on white? 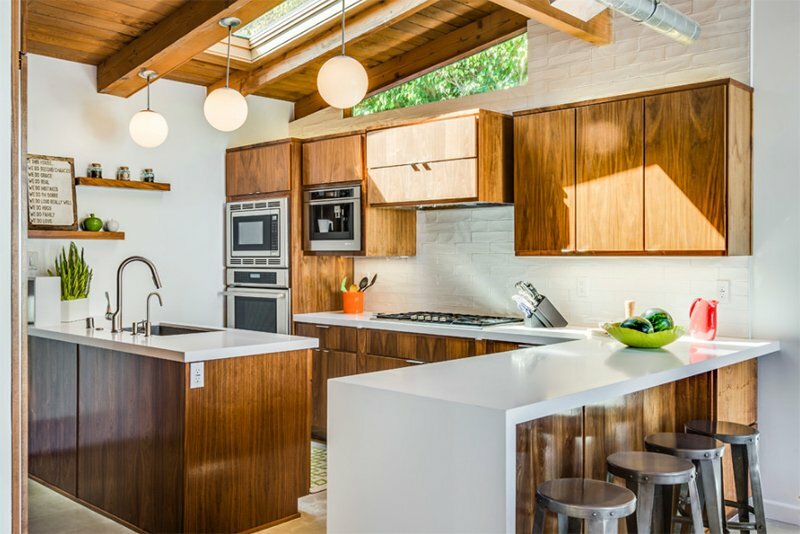 Well the kitchen has a midcentury vibe to it. I'd like to embrace the wooden cabinets, and the white countertop is a classic midcentury pairing! 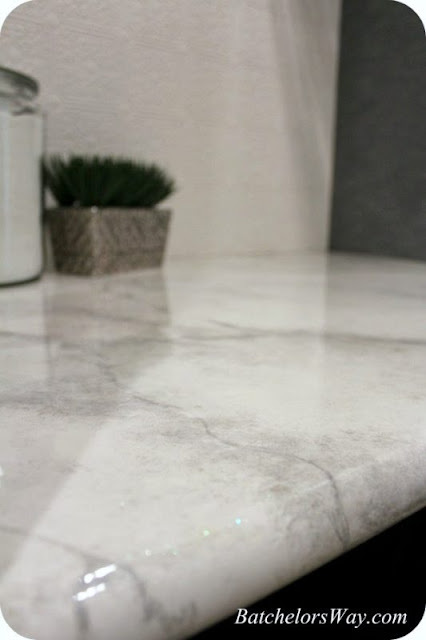 They have ready made countertop refinishing kits available . Some even have little flecks included! 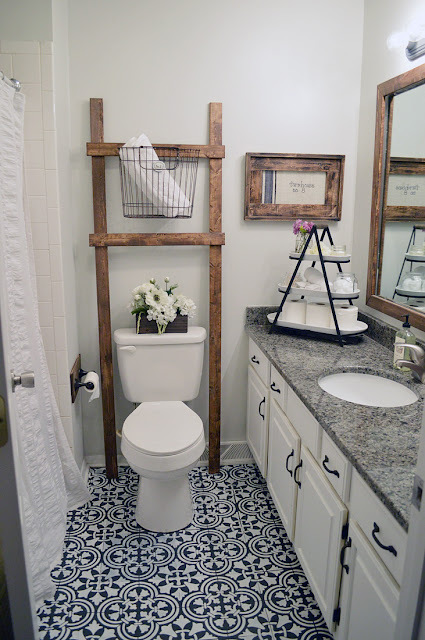 Otherwise if you want a complete DIY there are tons of great tutorials out there! This is my favorite. I love the marble look, and she did it all for under $30! Look how real the "marble" looks! This could potentially be grouped under painting tiles because a lot of folks out there are painting their tile floors to their liking. However, I'm thinking of yet another DIY project I'd love to do, but am fearful of how the homeowners would feel about it. 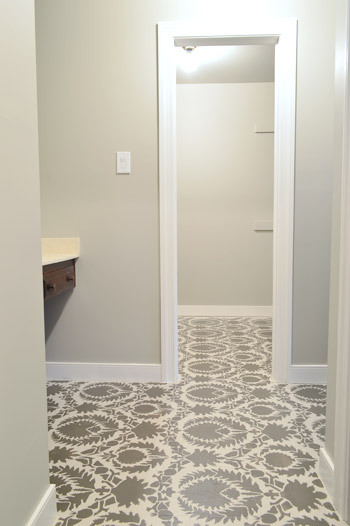 Personally, I have a laminate floor in the bathroom I'd love to stencil! My favorite tutorial, and the first time I ever saw somebody stencil their floor, is from Young House Love. They stenciled their subfloor, but the steps for going over laminate would be pretty similar. I also love the idea of painting really worn wood flooring! It looks so fresh! YES! Paint them, paint them, paint them! 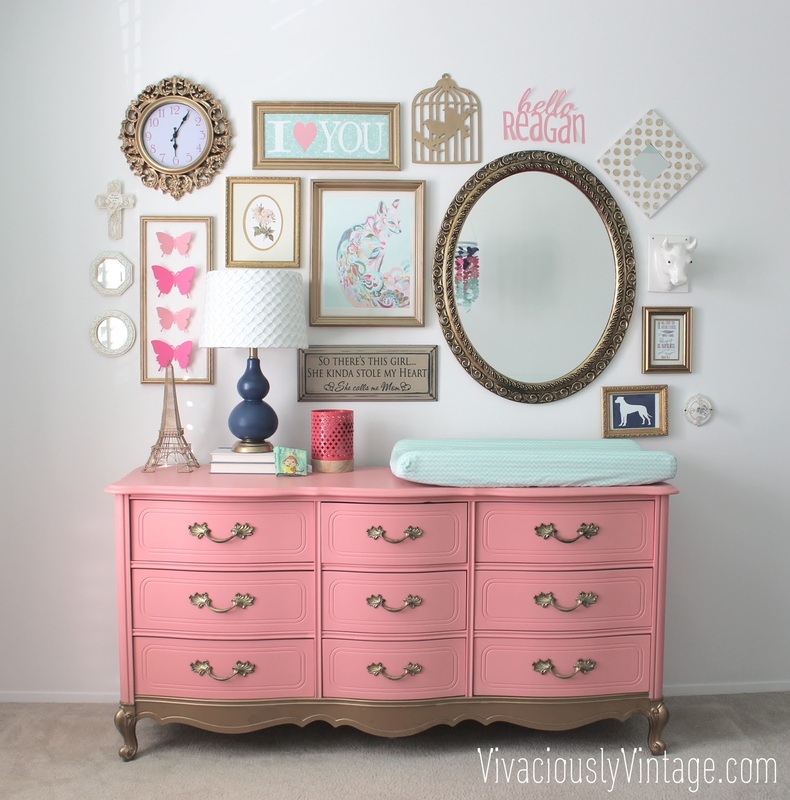 I love a beautiful gallery wall as much as the next gal. But frames are EXPENSIVE. You can pick up cool vintage ones from Goodwill and simply spritz them with primer and spray paint! I've found that even though the frames are all different, the unified color makes it all work. Here's two of my gallery walls of completely thrifted frames. I typically only pay $1-2 per frame. Don't be shy about painting the mats that come with the frames either! I painted them white in the stairway gallery wall! Are you going to try painting something out of the box? What's the strangest thing you've ever painted?? ?